Next Drivers Ed Class is going to be . @ Grove Community Center 104 W 3rd St.
Must be present for both days of class. ​Driving schedule will be made during the first day of class. Register Now for upcoming Drivers Ed Classes. Class Includes 10 hour classroom training AND 6 hrs behind the wheel training from Oklahoma DPS Licensed Commercial Drivers Ed instructors Mike & Stephanie Huggins. We will try so schedule drives times best for your and our family. 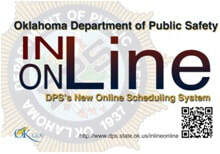 The Oklahoma Department of Public Safety is experiencing a shortage of employees. Check here first to see if they are open today before you take off work or miss school to go. We are an Epic Charter School Vendor. Epic students can take our new driver course to get a permit at 15 1/2 for ZERO dollars out of their pocket. Awesome. I Love the new turf at Ridgerunner Stadium! I have seen the field, walked on it and it is absolutely beautiful. Thank you to all the donors and sponsors who supported Grove Public Schools Athletics to make this possible. Leave this page and visit the Registration Information Page. New Oklahoma laws specify that Drivers Ed Class Graduates do NOT have to take the written test. 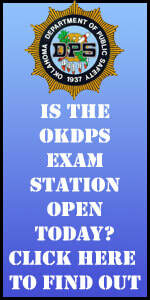 They should bring their 5 required documents to the DPS Examiner station to be issued their driving permit. Drive safe and be alert. 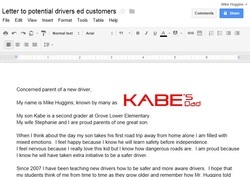 KabesDad.com Drivers Ed is a AAA Approved Driving School. 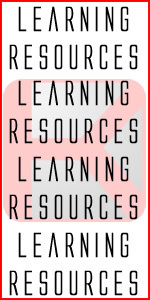 This site is beging built to replace the old KabesDad.com Dreamweaver Managed Website. Now you can add your own customer comments, get questions answered directly and have easier communicaitons options. You will still be able to register for our services right here. Click to read the full letter to parents. When I think about the day my son takes his first road trip away from home alone I am filled with mixed emotions. I feel happy because I know he will learn safety before independence. GrandLakeNews.com Article. It truely has been a great year and only getting better. I get to work with the best teachers, staff, and school administrators in Oklahoma. 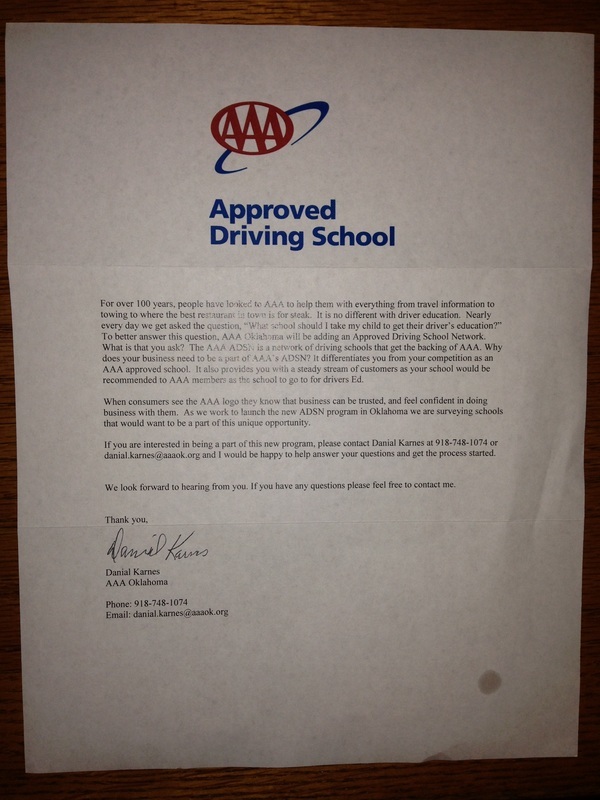 I have been an Oklahoma DPS Certified Drivers Ed instructor since 2006. 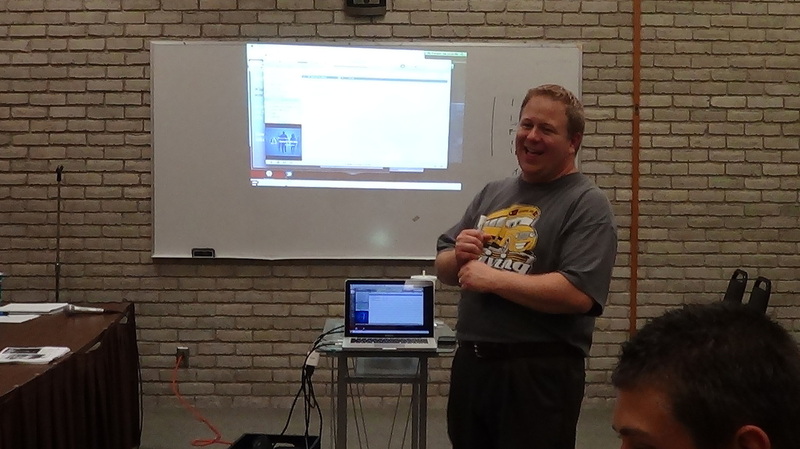 I currently teach computer classes like Microsoft Office, Adobe Photoshop, Dreamweaver Web Design, and Desktop Publishing in my Yearbook Class at Grove High School. I have also been driving a school bus route as long as I have been teaching. I have been asked to leave teaching for other careers, but I enjoy the opportunity to lead and inspire our children so much that I just can’t give it up. I really care about these kids and love getting to know them and watch them progress into quality young adults. Where did you get this name? Anybody who sits in a car with me for 6 hours will tell you how much I love my only son Kabe Brant Huggins. He is starting seventh grade this year (2016) and is ready to learn and play with his friends. I am so proud of him. If people know me as Kabe’s Dad it would be my pleasure to be called this. Why should I let you teach me or my kid? Parents make the best teachers but I have one thing they don’t, an instructor brake. I believe that learning should be fun and meaningful. I expect my students to pay attention in class while I am delivering important safety messages. I want to cause a hesitation, thought, and choice to leave that mobile phone/device put away in the car. I want to give parents an “at ease” state of mind because they can feel good knowing their child took an in-depth, behind-the-wheel safety vow. I want my son to be a safe driver when that day comes. I want the same for your child. cards either online or in person with Apple’s Square © iPhone credit card swiping system. Our deposit system gives you some flexibility so you can hold a spot now but pay the balance later when the class starts. Cool, how can I spread the word? I am glad you asked. Please help me spread the word. 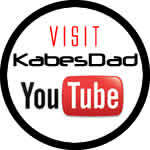 Share thik link or like us on Facebook, tell your friends and family. 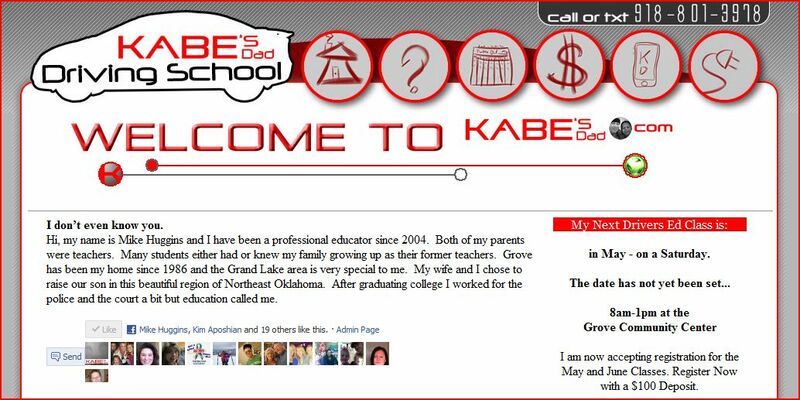 My son Kabe and I would like to thank you for choosing KabesDad.com for all your ages driver training solution. Know that I live in our community and I choose to spend my money with local businesses and I appreciate you making the same choice.